Aromatherapy is the use of natural pure essential oils to improve a persons physical health, mental health and general well being. It can offer solutions to problems as varied as high blood pressure through to insomnia and has been in use around the world for centuries. While essential oils can be used in many ways, some of which include ingestion, these alternative uses of do not fall under the domain of aromatherapy. As its name implies, aromatherapy refers only to uses of the oils that are associated with breathing in the highly concentrated scents. The use of fragrances can be as simple as making your home or office smell like an aroma that is going to influence you in some way. Everyone has their own preferences, and essential oils come in just about any scent you can imagine. For instance, if you have trouble going to sleep at night, using a linen spray that is infused with a calming scent such as lavender or chamomile can greatly aid in the process of going to sleep. On the other hand, if you find yourself feeling drowsy at work or are having trouble focusing, you might try some more stimulating scents in your office. There are a number of ways to fill an entire room with a desired aroma. One of the most popular methods is by placing a few drops of essential oil into a carrier oil and letting it warm up over a tea light candle. These special burners can be found in many home decoration stores and the heat element is what releases the scent of the essential oil into the air. Another heat source found in most rooms are light bulbs. Metal diffuser rings can be bought that you simply place inside the lamp shade on top of the bulb. When the light is on, the heat from the light bulb will cause the scent to be released into the room, creating an overall atmospheric aroma. If you need a more immediate or more controllable result than that, you can opt for diffuser sprays that you make yourself. You can mix one or more essential oils with water in a spray bottle and simply spray it wherever and whenever you need it. For more concentrated uses, aromatherapy can be administered through a steam facial, a bath or through massaging with carrier oils infused with a few drops of essential oil. For example, putting a few drops of tea tree oil into a bowl with steaming hot water and placing a towel over your head and neck while you lean over the bowl can treat congestion. While this can also be done without the tea tree, the effects are magnified by it's inclusion. A bath is always an enjoyable way to benefit from aromatherapy, as is a nice massage if you have a partner or significant other who can massage the oil into your skin. Always dilute essential oils, either with a lot of water for steam and bathing, or with a modest amount of carrier oil for massaging. 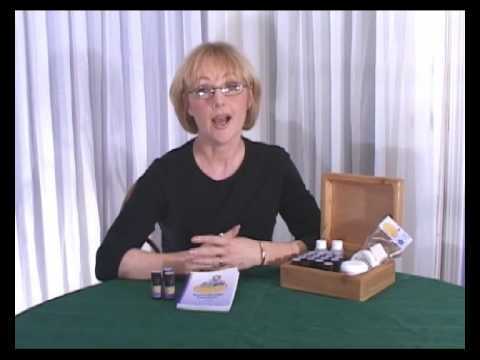 Pure essential oils are extremely potent substances and should never be used in their raw state. Diluting them in oil or water will ensure that you stay safe while reaping the benefits that aromatherapy has to offer.